Made in the USA. 5 star metal detector. This top-of-the-line metal detector is as easy to use as an ATM with 8 preset hunting programs. You?ll be ready to discover coins, jewelry, gold, silver, and relics. Take it to the shore with a specialized beach mode. 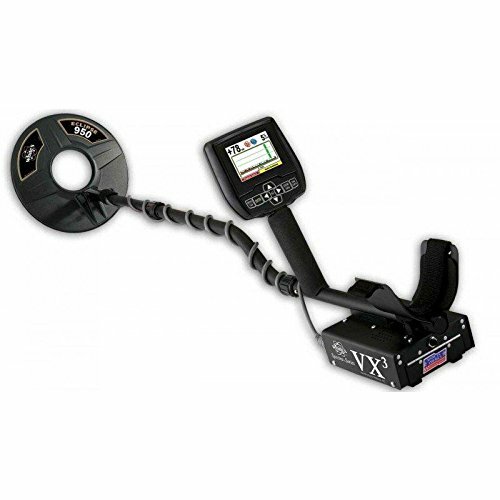 One of the revolutionary products developed by white’s electronics is the White’s Spectra VX3 Metal Detector. this product has made the top cut and most of its features are at best incredible. For all good reasons, a treasure hunter should invest in this metal detector. Featuring the full-color display, interchangeable and waterproof search coil and the adjustable armrest, the VX3 never disappoints. The search coil of the VX3 has been improved, and it is now better compared to that of the V3 and v3i. This concentric coil works both on dry land and shallow water. 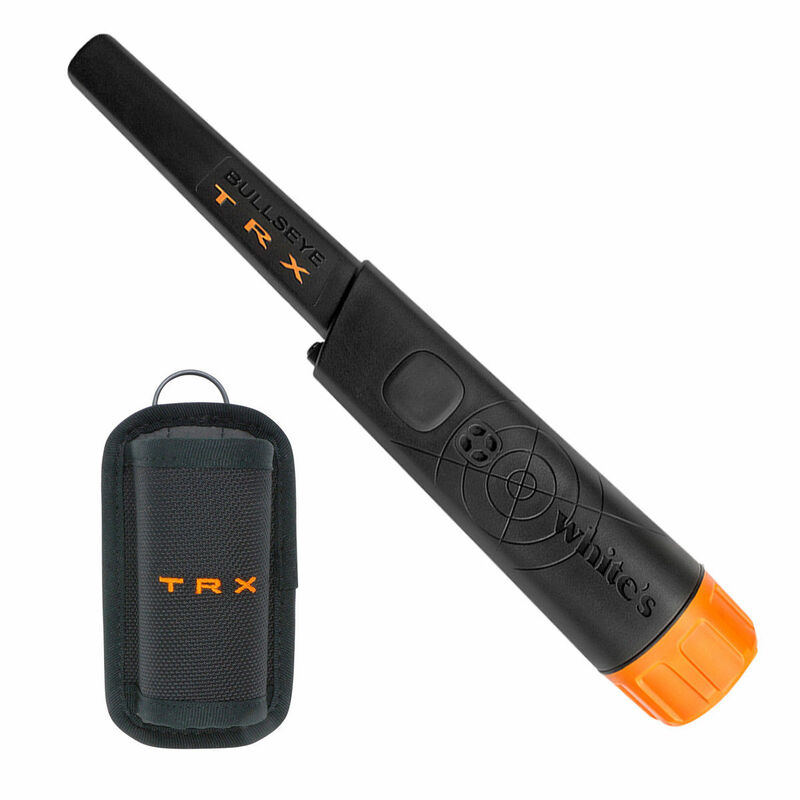 The waterproof feature ensures that your metal detector is protected from the hazards that may be caused by water. There are also five optional coils included that expand the versatility of this item. You can choose the coil that meets your requirements. Intuitive controls The menu system of the VX3 features various options that allow easy navigation when you want to make adjustments. The sections that are found on the main menu include; the ground tracking, discrimination mode, sensitivity settings, frequency adjustment, audio balance, filter and speed and the main programs of the metal detector. These sections contain specific options that allow you to customize this device to suit your personal preferences and needs. You can access all the main menu’s adjustments through the "live control." With this White's Spectra VX3 Metal Detector, all your treasure hunting dreams will be turned into realities. The provider has included a built-in function that helps you to understand what each adjustment means. Multi-frequency operation The white’s electronics has included a multi-frequency functioning in all of its V models. The VX3 operates on three different frequencies concurrently for unique and all-purpose hunting. You can also choose any of the frequencies when you want a specific application. Each frequency is optimized for a particular type of metal. For instance, 2.5 kHz is for silver and copper, 22.5 kHz for gold, nickel, and other small targets, and 7.5 kHz for general hunting. Moreover, the VX3 features an additional salt compensate feature that curbs the challenges caused by salts that are usually found in desert areas and ocean beaches. However, White’s Electronics have addressed this problem, and its users will find the use of this device incredibly easy. The inclusion of the live control bar allows you to understand all the adjustment features on the main menu. You can enlarge the live bar if you want to see the available adjustments clearly. Contrary, you can minimize it to increase spectra graph display. The vibrant color, back lighting ability, and the crisp graphics are amazing features that promote productive treasure hunting. Visual discrimination indicator (VDI) Once a metal has been detected, the VDI will show a figure that will help you know the target ID of the hidden metal. Another icon will appear next to the VDI to create certainty of the metal target’s ID. Remember, the metal detector has eight search modes, and the icon that will appear will entirely depend on the type of search mode you have selected. For instance, you may set your device to detect only jewels, gold or just prospecting mode. The depth of the target can also show up on the screen, and this is handy when it comes to pinpointing your targets. Whether deep or shallow, the device will help you know the exact location. The SpectGraph shows the VDI value and relative strength of the frequencies used in target detection. It can use wireless headphones for easy relic hunting in noisy places. It also features a built-in speaker. Product Specifications Product Dimensions: 44 x 9 x 12 inches. Item Weight: 2.7 pounds. 9.5 inch waterproof coil. Automatic and manual ground balance. Built in Speaker & 1/4″ Headphone socket. 2.5 kHz, 7.5 kHz, 22.5 kHz multifrequency and single by choice. Manufacturer: Whites Electronics. Origin: USA. Batteries: 8 AA batteries required.